Studio Ghibli may not (or maybe still is, there's a lot of confusion) be in the business of making animated feature films any longer, since the legendary Hayao Miyazaki's recent "retirement." There is a lot of confusion about what Studio Ghibli is going to be doing from this point on, and Miyazaki is a warrior who probably won't go quite that quietly. 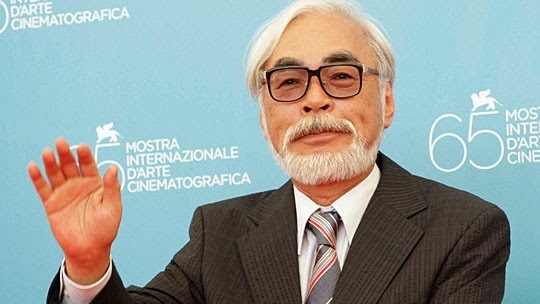 However, whether or not Miyazaki really is through with the business, that doesn't mean you can't still enjoy its films - or, should we say, his films, because all three are the product of his genius. 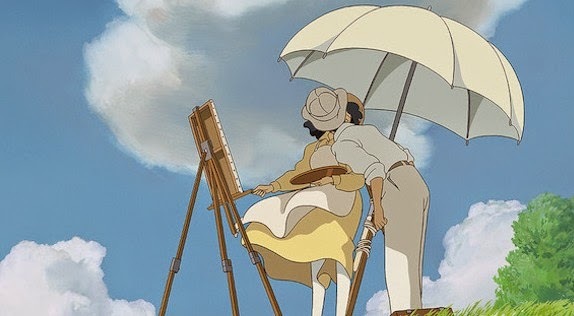 Disney, the United States distributor for Studio Ghibli, is getting set for U.S. sales of three major Ghibli titles: "The Wind Rises," "Kiki's Delivery Service" and "Princess Mononoke." Of the three, "Kiki's Delivery Service" might be the most suitable for general American audiences, though they all are terrific in their own ways and each is appropriate for just about anyone. Let's go through them briefly. "The Wind Rises" was a big hit in Japan last year, but did not do much business elsewhere. That is probably because it profiled the inventor of the Japanese Zero fighter from World War II, a topic that one can well imagine appeals more to Japanese audiences than your average American descendant of a World War II soldier. It does, however, teach a valuable history lesson, though many of the particulars about the inventor's life are fabricated (and some are not). It also is full of planes swooping about and is the most beautiful in an animation sense of the three films. The film focuses more on a (made up) romantic angle than on the fact that the planes were one of the most destructive weapons of the war, so in a purely visual and romantic sense it is a lot of fun and the top choice, but the themes may be a bit much for younger viewers. 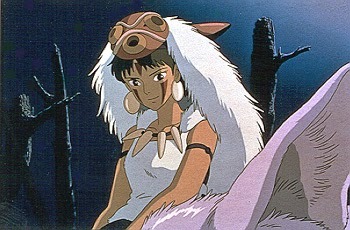 "Princess Mononoke" is a beautiful, well-crafted film that is based on elaborate Japanese myths. The princess is this wild forest creature who basically bears no resemblance to Cinderella or anyone else you've likely seen elsewhere in animated films. Think "Joan of Arc" wearing animal skins. Full of fiery demons and forest scenery, it is a film that did quite well in Japan but, again, not so well overseas. There are lots of battle scenes, sacred stags, and huge gods who must be killed, all set against a subdued save-the-forest theme. If you are into Japanese culture, it is the one to get because Japan is full of images of the princess, who is something of a cult figure like, say, Elvis on black velvet here. So, if you want to learn something about Japanese culture or be politically correct, this is a good choice. However, it's a bit of a gamble as to whether the youngest viewers will find the somewhat odd characters (to U.S. eyes) as enchanting as you might. "Kiki's Delivery Service" is yet another animated feature film with a talking cat. Yes, just like that old television show. Jiji the cat talks to Kiki, his putative owner, and gives her sage advice (which, when you think about it, is the only kind of advice cats ever give). Kiki sure can use the advice, because she is a very young witch-in-training who needs to learn how to be a witch on her own for a year - with only Jiji to help her figure things out. Jiji still manages to get into lots of trouble. It's a charming little film without too much violence and just a bit of teen romance. And, a talking cat. How can you go wrong? Ok, the plot is pretty obvious and formulaic, but it is the most sheer fun of the three releases, especially for the younger viewers. Amazon is now listing three titles. They will be sent out on November 18th, 2014. "The Wind Rises" is making its debut in the U.S. It is getting both a DVD edition priced at $29.99 and a Blu-ray edition priced at $36.99. The back catalog titles "Kiki’s Delivery Service" and "Princess Mononoke" have been around before, and thus will be Blu-ray only releases and also priced at $36.99. No details on any of the releases as to what to expect in terms of extras or features yet.